I don’t know about you, but I love football. And with football season always comes a great excuse to gather with friends and family and have a festive party! 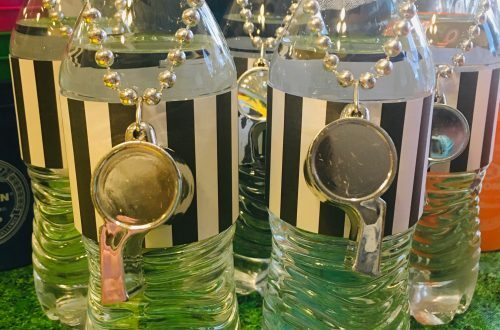 I decided to throw a big Super Bowl party this year, and manifest some of the crafty ideas that had been floating around in my head (and on my Pinterest boards!). 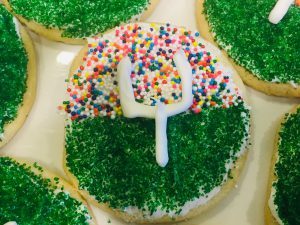 One of the things that I really wanted to try and make were these “field goal” cookies. 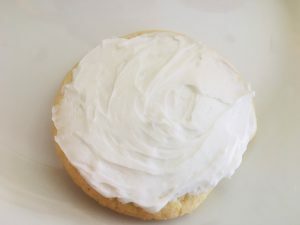 Using the knife or spatula, spread an even layer of frosting over each cookie. Set aside leftover frosting. 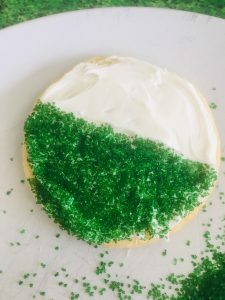 While holding cookie over plate #1, sprinkle half of the cookie with the green sugar, covering all of the visible frosting. 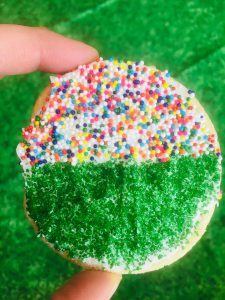 (Note: To make it easier, you can hold the clean knife or spatula over the middle of the cookie to help you make an even line, and keep the sprinkles from going all over the cookie. That’s what I did, anyway!) Press down gently to help adhere sugar, and shake off the excess onto the plate. 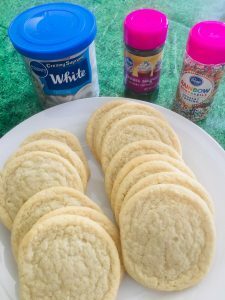 If you want your goal posts to be the traditional yellow color, right now is when you want to dye the leftover frosting (that you set aside earlier) with the food dye. I didn’t have any on hand, so I just skipped this step. Place remaining frosting in a piping bag and pipe goal posts onto each cookie. (I rushed this part, so mine didn’t turn out as nicely as I would’ve liked.) 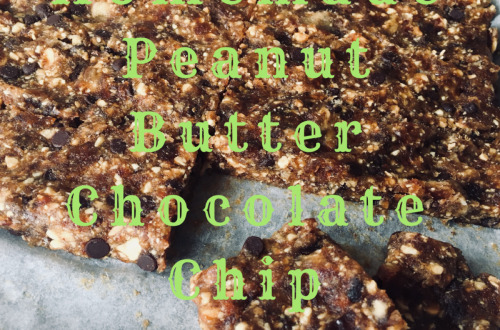 Arrange finished cookies on serving platter. 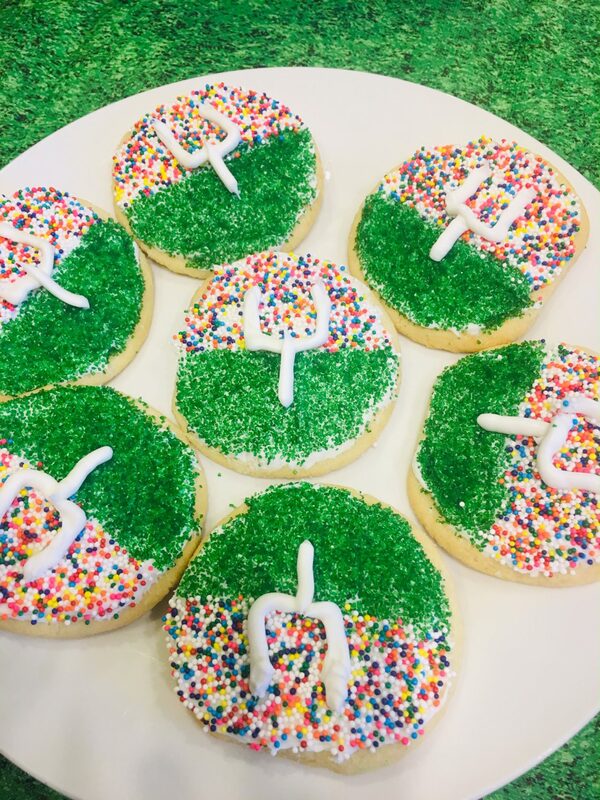 And there you have it… Field Goal Cookies! 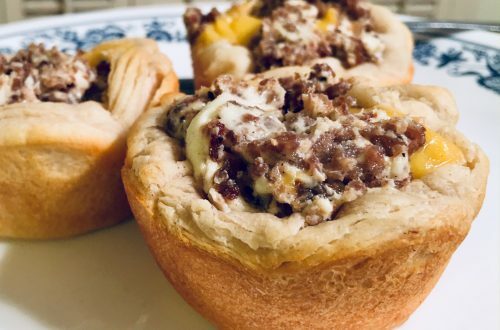 I’m definitely making these again! What special desserts do you serve at your football parties?